Pirates Brew Coffee > Uncategorized > Why Do We Air Roast our Coffee Beans? Why do we air roast our coffee beans at Pirate’s Brew Coffee? To deliver the best tasting coffee to our customers! Great tasting coffee comes from choosing the best beans and using the best roasting method. We did a lot of research and spent a great deal of time educating ourselves on growers, beans, roasting, etc. We work closely with importers to choose the best beans from the best growers and we’ve concluded that air roasting is the best method by far. 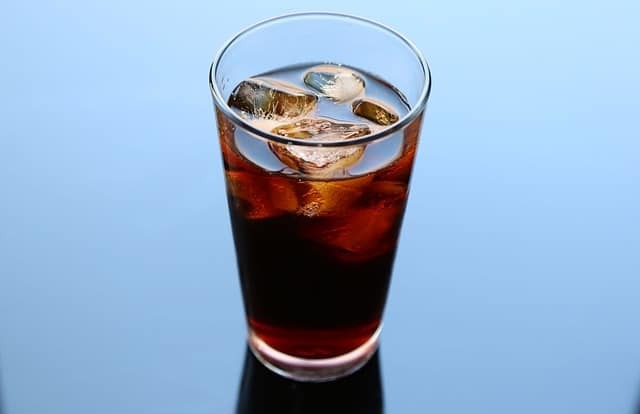 Customers frequently tell us they are surprised by the lack of bitter aftertaste or sour feeling in their stomach after they drink a cup of our coffee. No, it’s not due to magic beans … it’s due to the way we roast our beans! Air roasting was developed by Michael Sivetz, a chemical engineer and coffee industry consultant. He developed the Sivetz Fluid-Bed Roaster which uses forced hot air to agitate and roast the coffee beans. 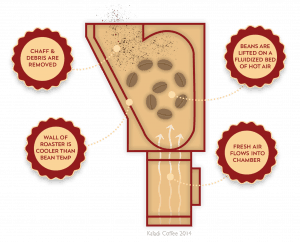 The way the air flows and circulates allows it to roast each bean evenly. Coffee beans can not be roasted until moisture is removed. If the beans are exposed to heat for a long period of time while moisture is still present, it can result in the bean being cooked. The more it cooks, the more acids are formed. The fluid bed air roasters can reach higher temperatures in half the time as drum roasters which means a reduction in the amount of acids that form. Another advantage to air roasting is the way chaff is expelled from the bean. The chaff is blown into a separate chamber which means it is not burned up with the coffee. The hot air also blows all other impurities leaving only the coffee to be roasted. Since coffee is extremely absorbent, taste is easily affected by impurities left in the roasting chamber. Buying the best beans and air roasting are two important steps in delivering delicious coffee to our customers. Check out our website to see the blends we currently offer and to place an order. We look forward to hearing from you!